On my last trip to Detroit in May for a festival I attend yearly, I had a bit of an accident. I hit my head hard, really hard on the top where a baby’s soft spot is while getting into a cab. Hard enough that it caused me loss of memory, confusion and disorientation for the rest of the evening and next few days. Thank God for a friend who helped me through it, I was a lost cause and yes completely sober when it occurred. Grant it, I may seem a bit spacey to the outside world at times, in reality my inner world and mind is flying faster than the speed of light in ideas, creative processes, visions and notions, hence the importance of meditation and grounding for me. Well this incident that happened with my head caused true spaciness and confusion for over a month, it was such a different perception that I was placed or should I say spaced into. I tried to overlook it but two weeks later I started to notice that my sense of smell was diminishing, over the next few days I lost it completely. As though I had lost my way the bump was a sign to redirect what was going on around me. After researching how to naturally cure a loss in sense of smell via head injury, I was lead to understand that Western medicine had no real answer for it. Onto Acupuncture, which I had received years ago for something minimal that ailed me since childhood that no other form of medicine could cure, Acupuncture did. Acupuncture dates back more than 2,000 years and is the basis for Traditional Chinese Medicine (TCM) which also incorporates herbs and applications far different from Western medicine. Acupuncture includes the practitioner placing metallic needles on acupuncture points on the surface of the skin. I researched an Acupuncturist, which lead to a personal adventure scouring Chinatown into a somewhat obscure herbal store. Here, I visited with Dr. Kent in a small space where he saw patients in the back of the store with a curtain enclosing. Kent Young has practiced TCM for 30 years and hearing his healing stories gave me hope for my head. After telling him what was going on, he checked my pulse and tongue. The pulse and tongue are guideposts to ascertain how and what is occurring in the body and are checked before a treatment. Apparently my Chi was completely blocked in my head and knew when touching separate points on my body where it would hurt. After the assessment he had me lay down, put needles in above stick figure I made, it was almost pain-free and very relaxing. Of course this is the most brief description, please read up for more information as it’s a very complex system. The basis behind TCM (Traditional Chinese Medicine) is that every part of one’s physical and energetic structure is connected through the Chi or energy system. This system has two opposing and inseparable forces (yin and yang), maintaining balance within those is homeostasis. 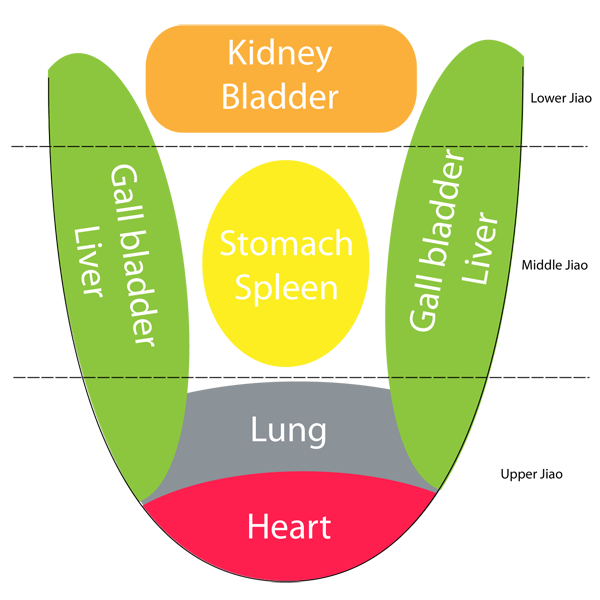 There are meridians that connect to each organ and points on the body that lead to opening the channels of Chi or Qi. The skin being like a map to the inner universe of one’s body. There are over 2,000 acupuncture points on the body with 12 Main Meridians and 8 secondary Meridians. TCM is based around the five phases or elements earth, air, fire, water and wood while there are also the six excesses in which any part of the system (body, chi) can have: Wind, Cold, Fire/Heat, Dampness, Dryness and Summer Heat. Which is why foods and herbs and their cooling, heating, bitter, sweet etc properties play such an important role in keeping the balance (yin/yang). Within the balance each organ has a separate correlation to different principles and expressions of life. For instance the liver is said to be the generator of chi and where we hold our anger/irritability. When the liver has too much heat like alcohol it produces anger and fire (redness and sickness) in the body, like how overdrinking and alcoholism can trigger intensity and anger (overheating and overtaxing liver). I was given herbs for 10 dollars a bottle and paid 45 for the acupuncture. Pretty inexpensive considering. My sense of smell along with my grounded and clear nature started to return within a few days. I now feel fantastic and went for my second appointment last week. Of course with any healing there is Herxheimer where I believe patterns of consciousness from sickness mentally, physically, emotionally and spiritually surface and are witnessed to elimination. I’ll be back with more fun Fungi and herbs that are superb. A beautiful, thoughtful post. Thank you for this. If you tell someone to try a narutal, organic diet free of preservatives and chemicals, they resist it, but will pop a pill of even more toxic stuff? I was in seriously poor shape two years ago with a multitude of problems, including lupus, rheumatoid arthritis, hidradenitis and thyroid problems. When I stopped eating processed food, and eliminated wheat, soy and eggs from my diet, the symptoms cleared up. I wonder why many people don’t realize the toxins that are in commercial meats, milk and processed food? All you have to do is read the label to see how bad it is!I enjoy a lovely diet of fresh, organic veggies, rice pastas, fruits, fish, seafood, rice, quinoa, millet, flax, nuts, seeds, berries, etc. I dont feel deprived at all. Its the toxic artificially enhanced stuff that I am refering to. My diet is much more enjoyable and : comforting to me now, and my 12 year old is thriving on it! I lost my sense of smell due to a head injury over a year ago. I have a few very faint, but not accurate (nothing smells like it’s supposed to), scents returning, but most smells are still absent. I’ve been thinking about trying acupuncture, and your blog has helped me make the decision to give it a shot. How many treatments did you need before you started to improve? you felt the afferance from the water! In Chines 5 eletmnes, the 5th element is metal. In nearly all others i.e. Japanese, Greek, Buddhist, etc. the 5th element is the ether, or “that which is beyond the material world” like Spirit and Creative Energy. 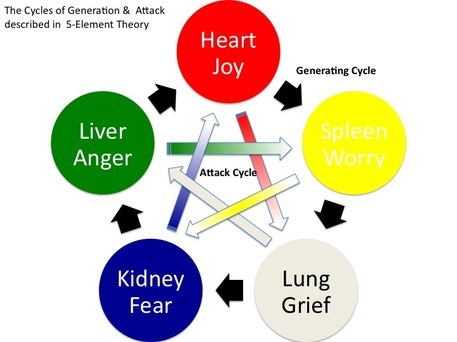 This “5th element” is the most important one to connect with because if you only identify with your material body, death can bring up a lot of fear. When you know your true essence is Spirit, you can live without fear. And that automatically makes the physical body work better because that stress and fear is gone. I’m extremely impressed with your writing skills and also with the layout on your weblog. Is this a paid theme or did you modify it yourself? Either way keep up the nice quality writing, it’s rare to see a great blog like this one nowadays.